It’s Wednesday and do you know what time it is? 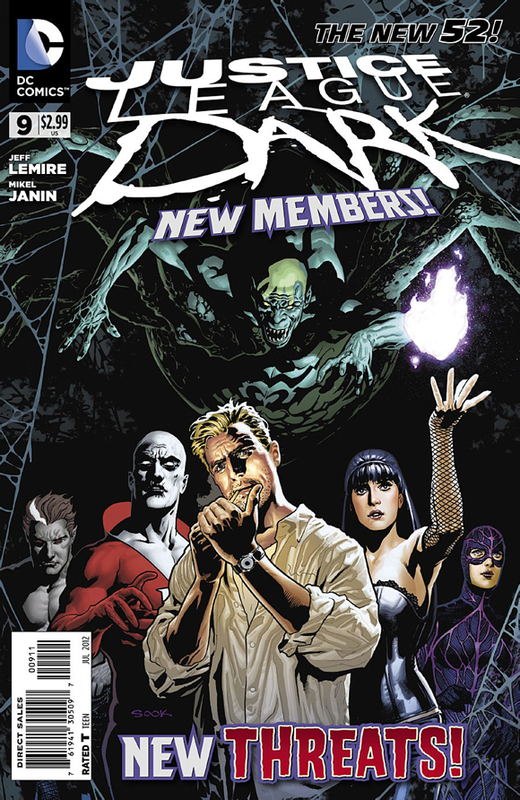 It’s new podcast time here at ComicImpact.com, where this week the team of Sheldon, Rob and Simon (who has the pick) all agree that Justice League Dark number 9 by Jeff Lemire and Mikel Janin was the best comic of last week of May 23rd 2012. Wait, is that not enough for you? Well guess what, we also talk about The Flash 9 and the debut of GORILLA GRODD in the New 52. Simon and Sheldon fight about The Savage Hawkman’s art style. Also Rob was not so nice to Fantastic Four week after making it his pick last week. We also check in with the two big events over at Marvel (AvsX) and DC’s (Night of the owls) and much more. So there you go kids an all new episode of your favorite podcast with a French guy, a Southern Belle and a young Brit.